Explore the latest Shoshone-Bannock beadwork, from beaded purses and moccasins to earrings and keychains. 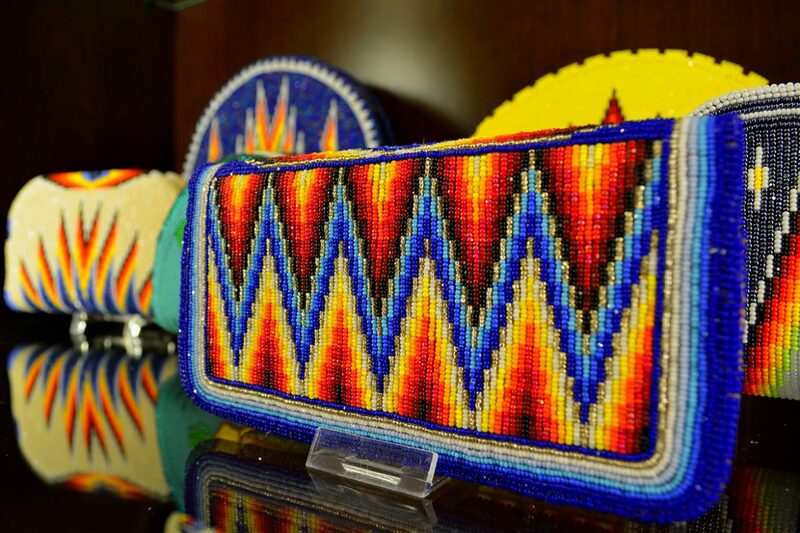 The Shoshone-Bannock Tribes are considered to be the producers of the finest beadwork in North America – and the Donzia Gift Shop features a complete line of hand crafted beaded moccasins, purses, bolo ties, medallions, belt buckles, credit card holders, wallets, and hat bands. Located in the Donzia Gift Shop.